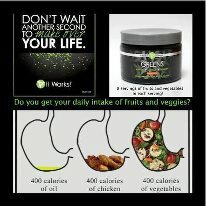 I often talk about It Works Greens! Why? Because of ALL the benefits it has! It’s Amazing! 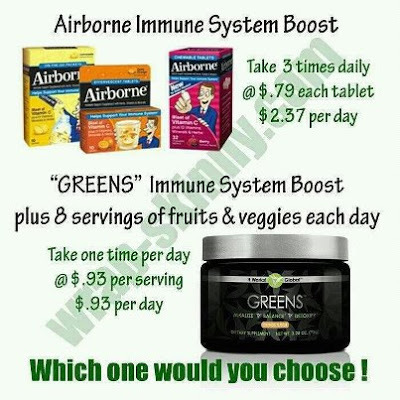 Why are Greens a top selling product? 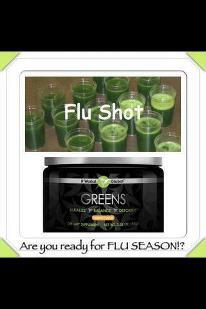 It Works Greens are filled with free radical fighting nutrients that work to bring our bodies to an alkaline state. When alkalinity is restored our bodies tend to work better overall and are better equipped to fight off sickness. 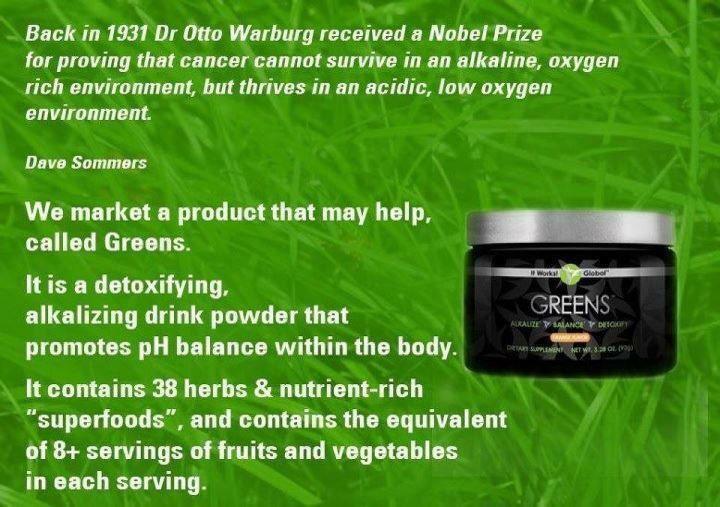 Acidic bodies are more prone to illness so It Works Greens is formulated to help lower the acidity level and bring our blood to its appropriate PH balance of 7.35 to 7.45. 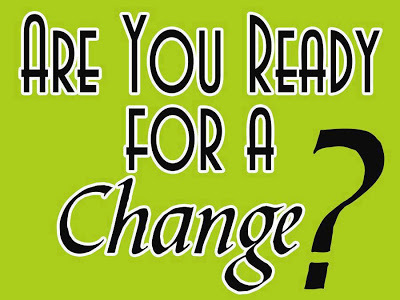 Our bodies are always trying to sustain that level and self correct intake of high acidic foods or environments. Greens helps give our bodies’ internal regulating system the boost it needs when trying to self-correct and restore alkalinity. You Are What You Eat Combating acidity is done best by the right amount of raw fruits and vegetables. 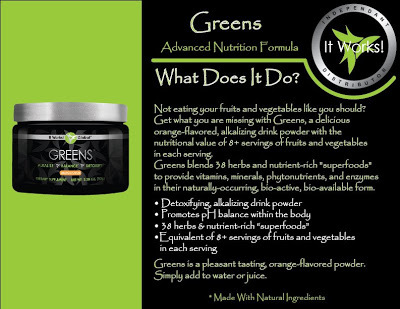 It Works Greens contains 8+ servings in a convenient daily dose. 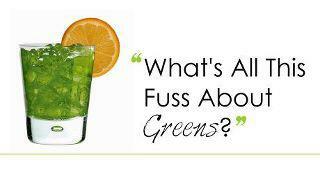 Greens might be green, but tastes like orange. The flavor is similar to Tang so it goes down easy. 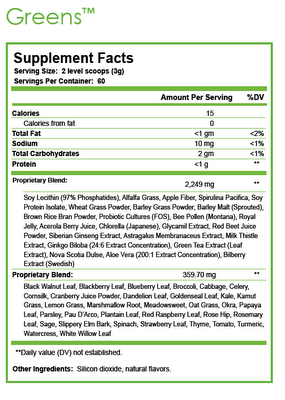 It is easy to use and dissolves quickly in juice or water. 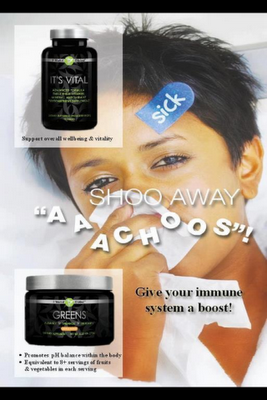 All of the minerals and vitamins in the Greens invigorates the body with a natural energy boost. WOW!!!! 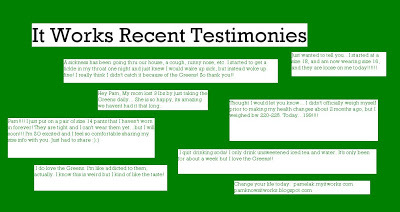 It Works Greens have significantly changed my life and keeps my entire family healthy! But check out this story from a woman who went from basically infertile to pregnant in 7 months! Earlier today Kami Dempsey asked some of the leaders what their fav story was.. 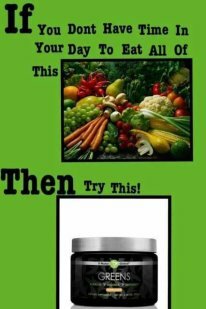 Most of them started sharing their own story as these products have changed lives soomuch! One was migraines and Fibro. Another was gall bladder issues. 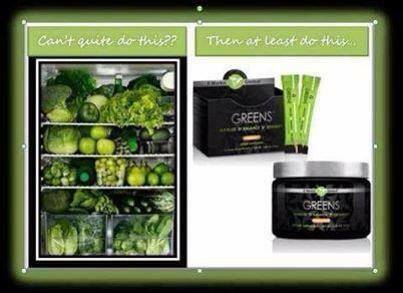 In my home greens is what our morning juice and we snack on It Works Green Chews instead of yucky food!!! My kids call them their superhero juice and snacks! We don’t go a day without!